All money from these events is contributed to the blind, less fortunate and community needs. Our membership dues pays for all dinner meeting meals as well as the club's operating cost. M.C.R.E.S.T. Program, (first week of January) The Lion members help our local church house & feed the homeless for one week. Nomination of Officers (2nd meeting in January) Selection of members to be elected to a club board position. Wild Game Dinner (last weekend of February) "A taste of the north. "We serve up exotic dishes from members hunting trips along with traditional plates. Also includes a salad and dessert bar along with beer & wine. District Convention (last weekend in March) This is where we elect the officers for next year. International Convention (first weekend of April) Clubs from all around the world attend. Detroit/Windsor will host the 2004 convention. Run for Life (April) spin off of the Peach Festival Fun Run to raise funds for A.C.S. Relay for Life event. Schedule to be announced. Relay for Life (April) Lions man the kitchen to feed the participants in the American Cancer Society's 24 hour event. White Cane Week (end of April) A ten-day period where one will find Lion members on street corners, grocery stores and any place that people congregate. The funds generated from this activity traditionally go directly to Rochester Leader Dogs for the blind school. Club Installation of Officers (3rd Monday in June) Spouses are invited to dinner and formal installation of new board of directors. Community Picnic (3rd Wednesday of June) Romeo Lions joins Parks & Rec to cook during the free concert in the park. Family Picnic (June) Hot Dogs and fellowship. Members get to know each other and our families with activities for the children. Lions Golf Outing (last Saturday of July) A day of food, fun & naturally golf. Held at the lovely Romeo Golf Course, lunch is served at the course and dinner at the clubhouse. This event is often sold out before its formal announcement. Michigan Peach Festival (Labor Day weekend) This event is so large it has it's own web page. 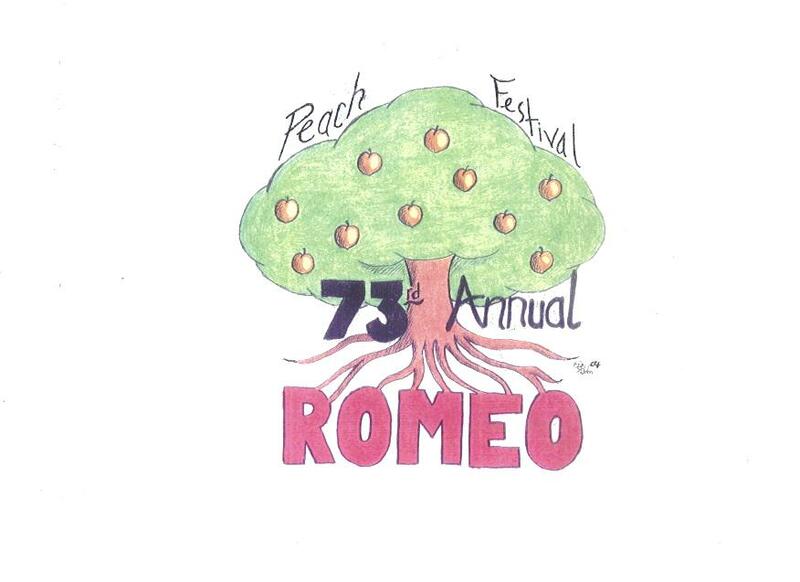 Please visit us at the Festival where one will find events for any interest. Romeo Road Rally (October) A scavenger hunt in your car and dinner after the ride. The events proceeds go to the Penrickton Center for blind children. Goodfellows Paper Sale (1st Weekend in December) Lion members and other service groups sell the special spoof edition of the Romeo Observer newspaper to provide a Christmas for every child that might not have food and gifts on that special day. Community Tree Lighting (1st Thursday in December) Lions serve hot chocolate & cookies during Parks & Rec program of Christmas Carols and Santa's first visit to Romeo. Children's Christmas Party (3rd Monday of December) Lions & Toys for Tots entertain local children referred by area agencies.